Colin Firth and Julie Walters star in a classic children’s adaptation of The Secret Garden. The movie is based on a young orphan who stumbles across a hidden paradise on her uncle’s estate. From its original Edwardian setting, the big screen adaptation will move the setting forward to 1947, on the eve of partition in India and in the aftermath of the Second World War in Britain. 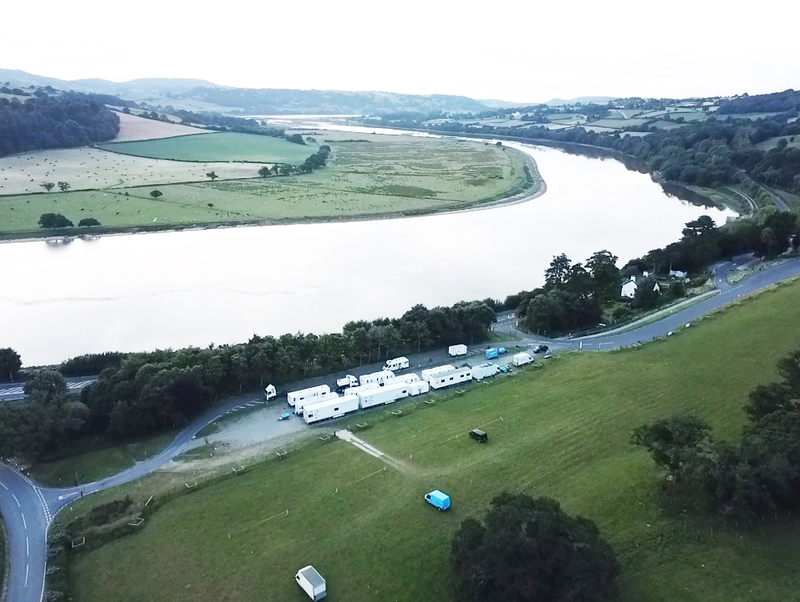 Filming in Bodnant Garden Estate in Conwy Valley, North Wales, the set faced a minor hiccup with a hose failure on one of the trailers carrying film equipment. Hydraquip Llandudno Junction’s engineer Lee Newton was called out to the set. “It was a fantastic opportunity to see the set first hand. It’s not every day you get called out to a film set.” With time being of the essence, Lee was able to replace the hose on the trailer with minimum downtime to ensure he could get the show back on the road! Lee manufactured and installed 1 hose, 3/8” bore size, 1.5m in length, BSP end connections, 2SC Rockmaster. Hydraquip provide their engineers with Mercedes Sprinter vans fitted with a modern racking system to ensure that they are able to complete their service jobs in a clean and safe environment at all times. The engineers are able to easily adapt to their surroundings often working on a wide range of projects which may differ from the day to day hydraulic equipment they repair. From working on film sets to zoos, Hydraquip are able to offer hydraulic hose repairs for all types of machinery in any setting.